The Forum, which highlighted the commitments of health sector leaders worldwide to reduce carbon pollution and build healthy, resilient communities, culminated in the launch of a Call to Action on Climate and Health. This Call to Action, endorsed by over 70 leading health organizations, outlines ten priority recommendations the health community can take to advance human well-being in the era of climate change. 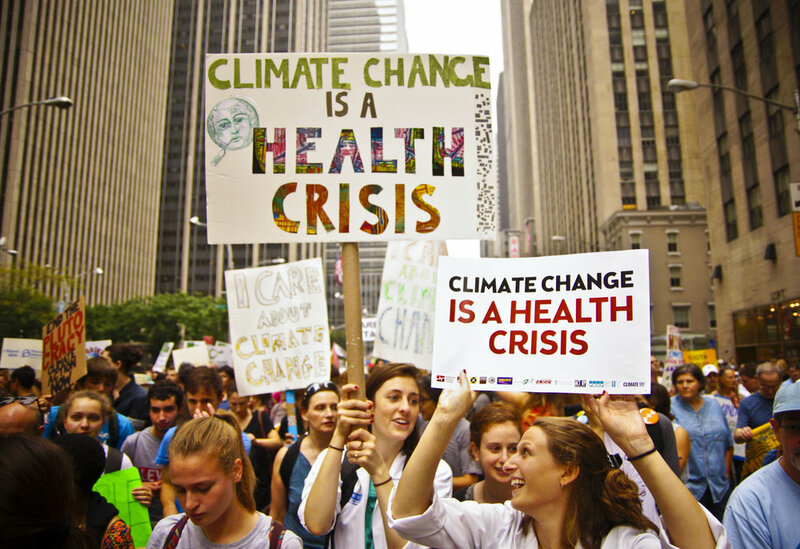 The Forum was organized by the Global Climate and Health Alliance, the Global Health Group at UCSF's Institute for Global Health Sciences, Health Care Without Harm, and the US Climate and Health Alliance. Follow the link or contact us at info@globalclimateandhealthforum for more information about the Forum and our partners. The Call to Action on Climate and Health provides a policy roadmap for urgent action to protect health and slow climate change.